It was in the middle of the Indian Premier League (IPL) last season that 2-time IPL winning skipper, Gautam Gambhir dropped himself from the team and relinquished Captaincy duties to a young Shreyas Iyer. As he approaches his first season as a full-time captain of the Delhi Capitals, Sportskeeda had an exclusive chat with the 24-year-old. Shreyas said while elaborating on his personal goals for the season and the confidence he carries from the form he is in the past few months. But this season, the Mumbai batsman has the additional responsibility of leading the side and he is optimistic of the same. He also added that the team is fortunate to have the legendary Australian Ricky Ponting as the head coach. 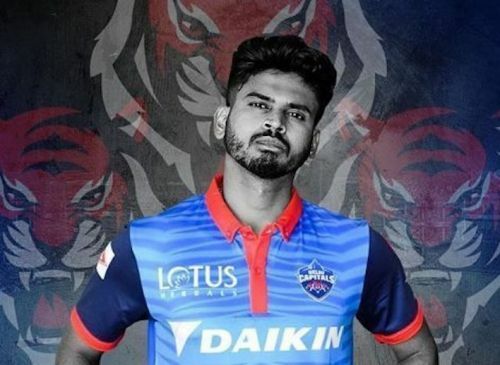 But Delhi Capitals this season is not only about the Prithvi Shaw, Rishabh Pant, Avesh Khan, Sandeep Lamichanne but also includes proven performers like Shikhar Dhawan, Kagiso Rabada and Chris Morris and Shreyas Iyer as the leader of the team feels fortunate to lead such a talented group of players. “Shikhar Dhawan is one of the main players from the team. I am glad that he will be guiding all the young players. He has been a consistent performer in the IPL over the last few seasons and India as well particularly in the overseas tours. Also, he is got a lot of experience and knowledge about the constructing the innings. He is an entertaining personality and helps in maintaining the atmosphere of the dressing room. He gels well with the teammates and that’s important in a big tourney like the IPL” said the captain who emphasized on the importance of having Indian opener Shikhar Dhawan in the side who was traded to Delhi Capitals from the Sunrisers Hyderabad. On a personal front, Iyer said that he wouldn’t give up on his World Cup chances till the last moment. He was one of the players to play the musical chair at No. 4.